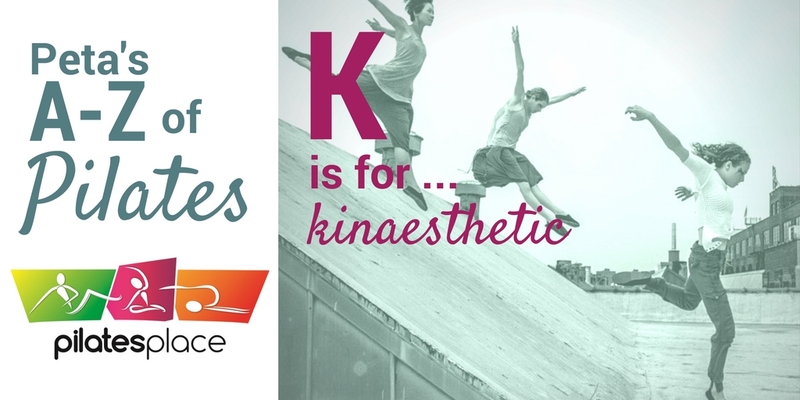 Kinaesthetic awareness refers to our ability to navigate space and our awareness of how we move. Different people have different levels of kinaesthetic awareness, but it is an ability that can be lost if it is not used. When we perform a new exercise for the first time, it may feel that we don't have complete control of the movement. However, with practice our body learns the movement more efficiently, and we train our muscles gradually - reducing extraneous movements to perfect the movement. Standing posture is a good example of how use our kinaesthetic awareness. If your head is too far forwards, realigning it so it's in line with your spine will improve your head position and realign your posture over time.